I have to admit that I’m not a huge fan of folk music, (though I did enjoy Inside Llewyn Davis on a rare trip to the cinema this weekend) but I was sad to hear that Pete Seeger had passed away today, at the grand old age of 94. His songs seemed to soundtrack much of US radical politics in the last 70 years, from pre-war labour struggles, through McCarthy witch-hunts, civil rights marches and anti-war movements, right up to the Occupy protests of the last few years. I’m not sure that the protest ballad as a cultural form is quite so popular on this side of the Atlantic, but hearing Seeger deliver a fine old union song like Which Side Are You On? certainly still rouses some revolutionary fervour. Today was the 90th anniversary of the death of Vladimir Ilyich Lenin, Bolshevik revolutionary and first Premier of the Soviet Union. 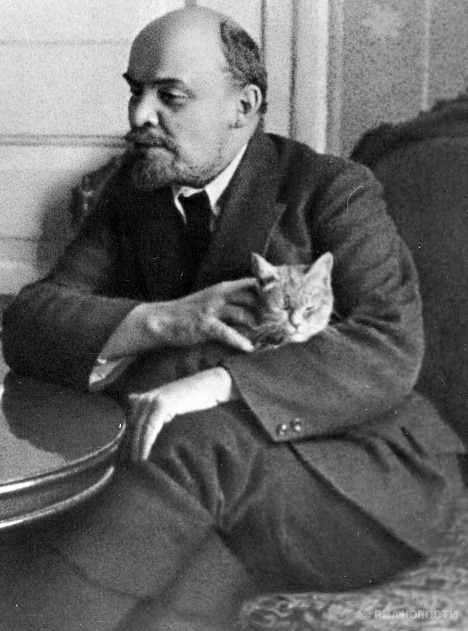 Regular readers will know that I count myself a committed communist, so it will be no surprise to learn that Lenin is one of my political heroes. What he had – and what is missing from much of radical scene today – was an understanding that the central questions in any political struggle concern power – who has it, and what they do with it. “Who, whom?”, as Lenin succinctly put it. This insight was given practical form in Lenin’s famous April Theses, delivered to the Bolsheviks on his return to Petrograd from exile in 1917. These few paragraphs, outlining a programme for action in the tumultuous days following the fall of tsarism, form one of the most influential documents in history – without them the October Revolution would not have happened, events in the 20th century would have taken a dramatically different course, and the world we know today would never have come into being. I know from experience that my enthusiasm for Leninism is not widely shared, even on the left, which is perhaps understandable in light of how the Soviet Union developed in the years after Lenin’s death. It’s a shame though, because the key question that faces those of us trying to change the world today is the same one that the Bolsheviks grappled with a century ago – what force can we mobilise to counter the power of capital, which keeps us in subjugation? The answer, now as it was then, involves the organisation of the working class through a revolutionary party, a task that Lenin successfully accomplished. We could do worse than try to follow his example.